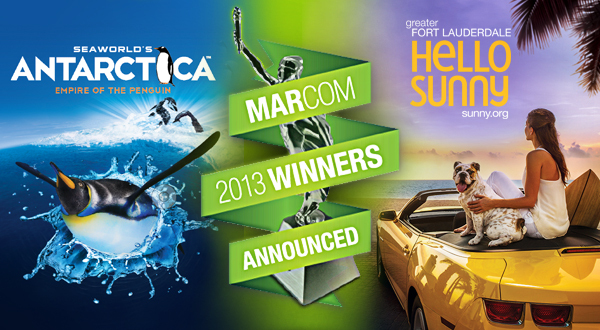 Starmark announced that campaigns on behalf of clients in Orlando and Fort Lauderdale have won MarCom’s prestigious Platinum Awards. The MarCom Awards is an international creative competition that recognizes outstanding achievement by marketing and communications professionals. Starmark’s entry on behalf of SeaWorld Orlando’s Epic Voyage Tour received a Platinum Award in the category of Integrated Marketing Campaign. In 10 of SeaWorld Orlando’s major U.S. feeder cities, the Epic Voyage Tour fueled awareness of the opening of the attraction Antarctica: Empire of the Penguin. The Greater Fort Lauderdale Convention & Visitors Bureau also received a Platinum Award for its Hello Sunny integrated marketing campaign. The Hello Sunny campaign, international in scope, developed an entirely new identity for the destination. Hello Sunny took advantage of every medium to brand Greater Fort Lauderdale as a state-of-mind – relaxed, carefree and sunny. The Platinum Award is bestowed on entries judged to be among the most outstanding in the competition, with approximately 19 percent of entries winning this award. MarCom judges reviewed over 6,500 entries from throughout the United States and international locations.